Cutting through 160 years of mythmaking, best-selling historian Michael Wallis presents the ultimate cautionary tale of America’s westward expansion. 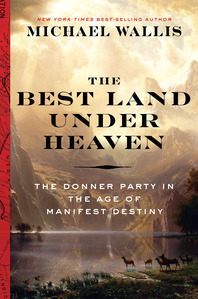 We know these early pioneers as the Donner Party, a name that has elicited horror since the late 1840s. Now, celebrated historian Michael Wallis—beloved for his myth-busting portraits of legendary American figures—continues his life’s work of parsing fact from fiction to tell the true story of one of the most embroidered sagas in Western history. Wallis begins the story in 1846, a momentous "year of decision" for the nation, when incredible territorial strides were being made in Texas, New Mexico, and California. Against this dramatic backdrop, an unlikely band of travelers appeared, stratified in age, wealth, education and ethnicity. At the forefront were the Donners: brothers George and Jacob, true sons of the soil determined to tame the wild land of California; and the Reeds, headed by adventurous, business-savvy patriarch James. In total, the Donner-Reed group would reach eighty-seven men, women, and children, and though personal motives varied—bachelors thirsting for adventure, parents wanting greater futures for their children—everyone was linked by the same unwavering belief that California was theirs for the taking. 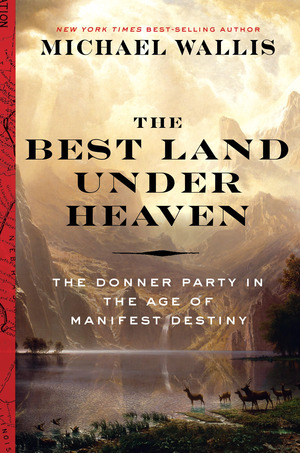 Skeptical of previous accounts of how the group ended up in peril, Wallis has spent years retracing its ill-fated journey, uncovering hundreds of new documents that illuminate how a combination of greed, backbiting, and recklessness led the group to become hopelessly snowbound at the infamous Donner Pass in present-day California. Climaxing with the grim stories of how the party’s paltry rations soon gave way to unimaginable hunger, Wallis not only details the cannibalism that has in perpetuity haunted their legacy but also the heroic rescue parties that managed to reach the stranded, only to discover that just forty-eight had survived the ordeal.